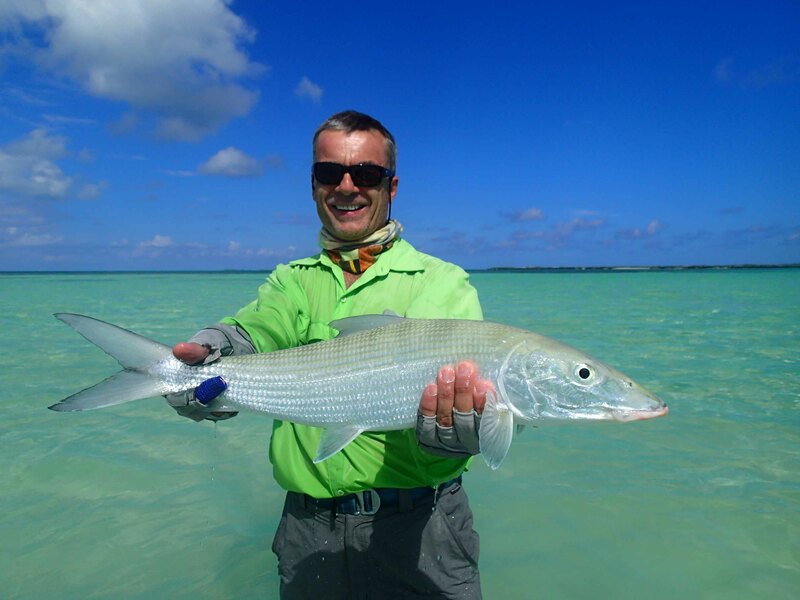 Perfect weather conditions and crystal clear waters met the change over day as we welcomed our new guests to Cosmoledo. 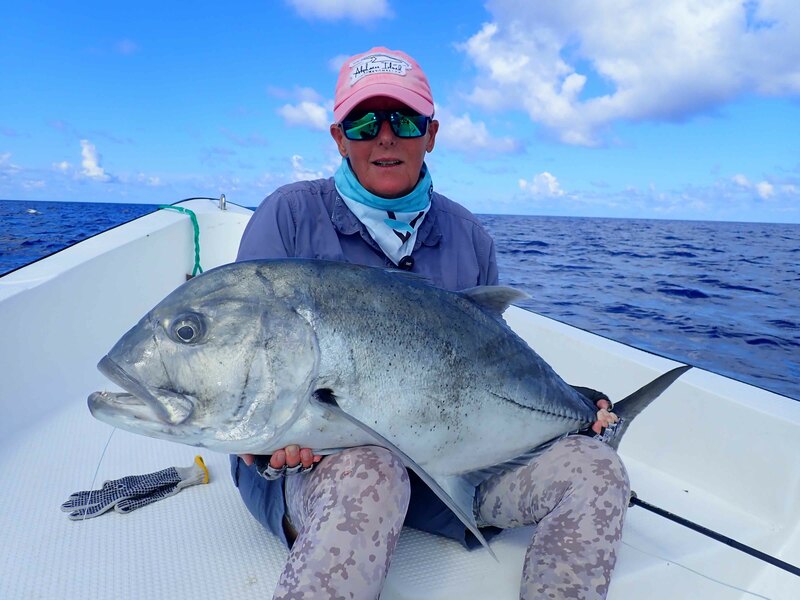 The week kicked off with some nice flats caught Giant Trevally’s but as the week migrated into neap tides they became scarce, redirecting the teams to catch all the other species that Cosmoledo has to offer. 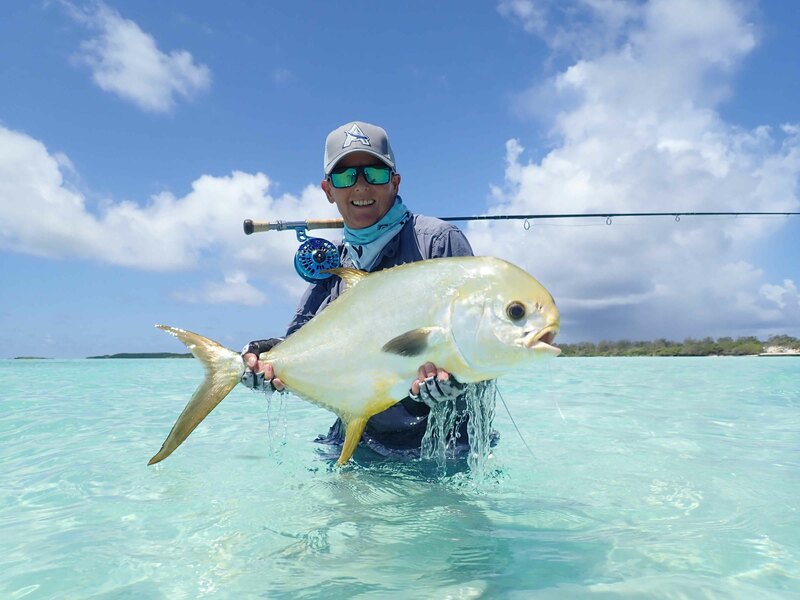 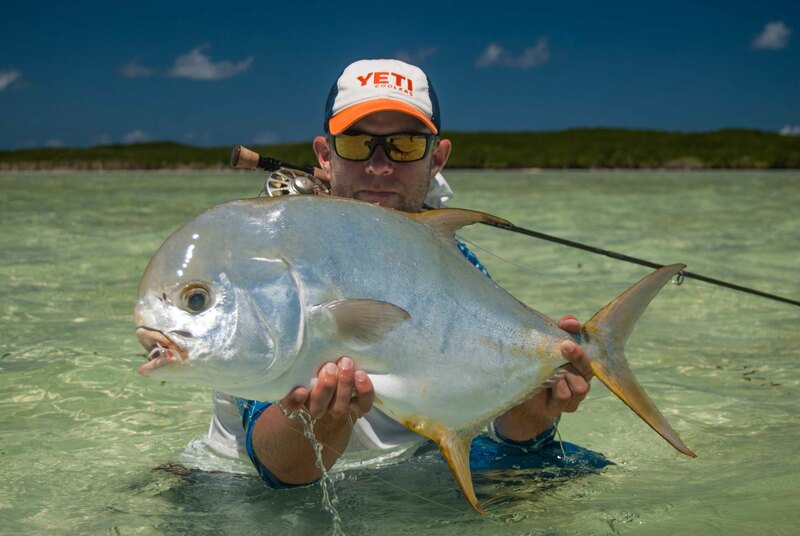 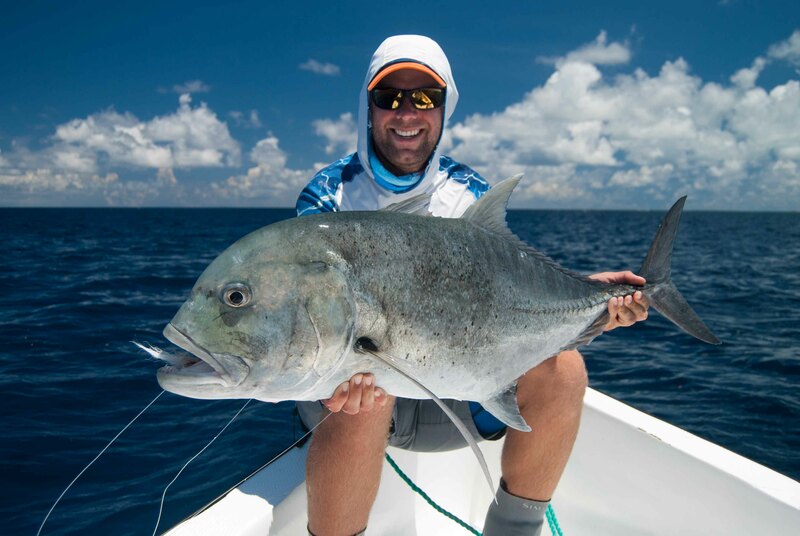 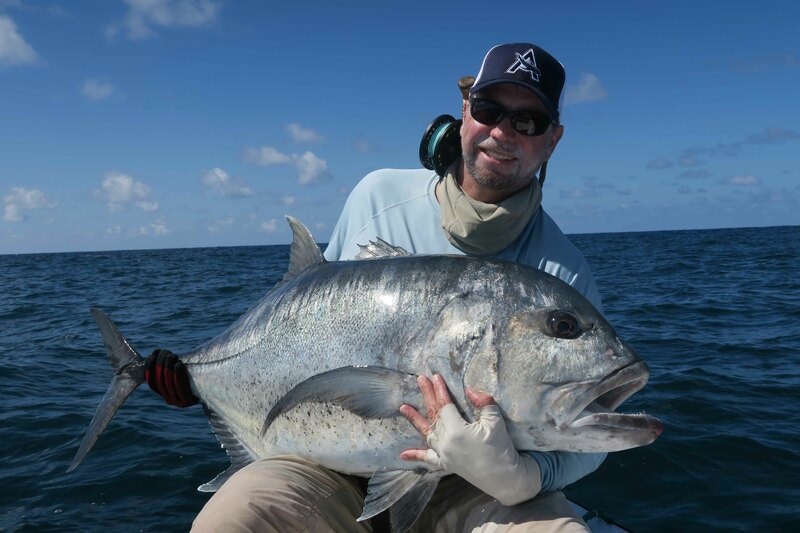 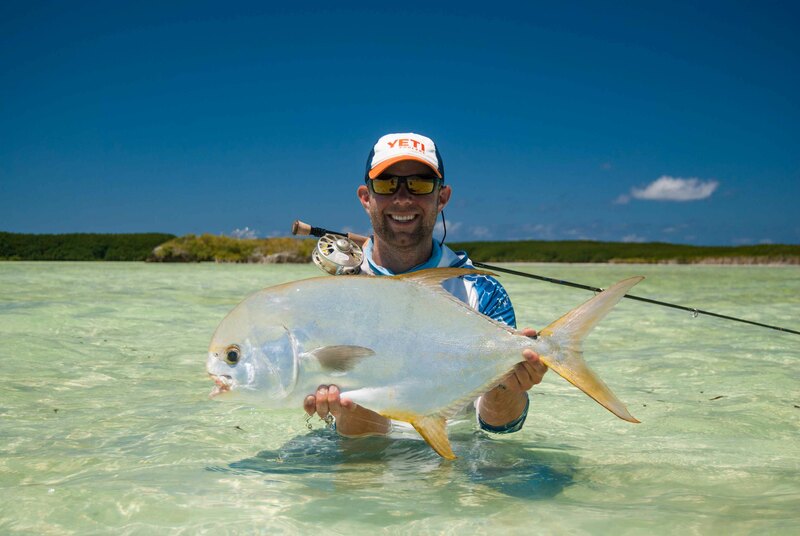 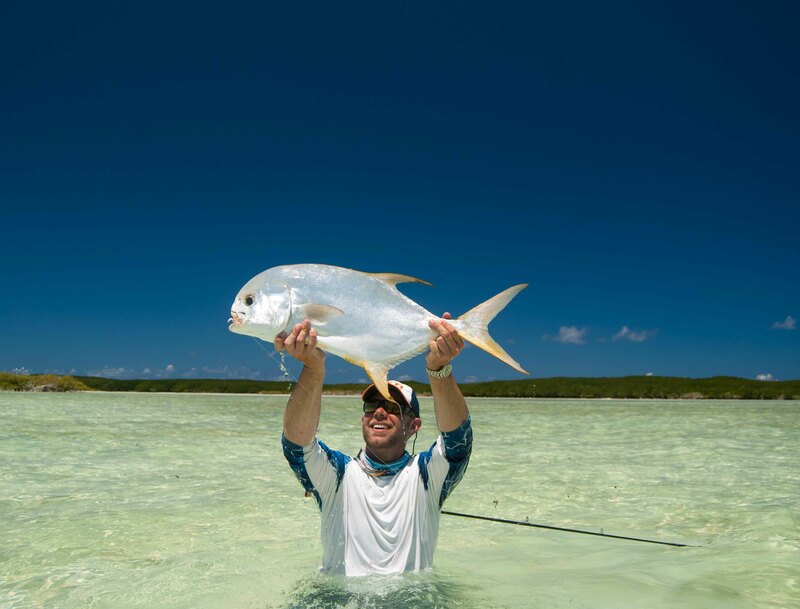 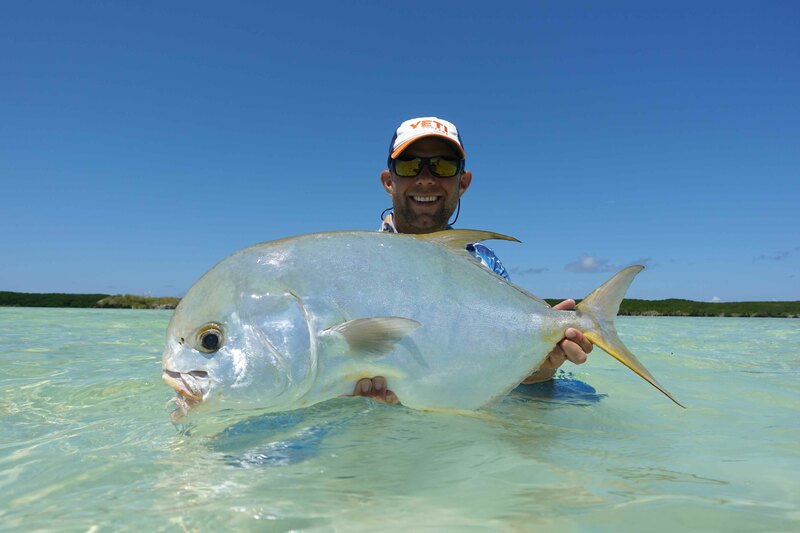 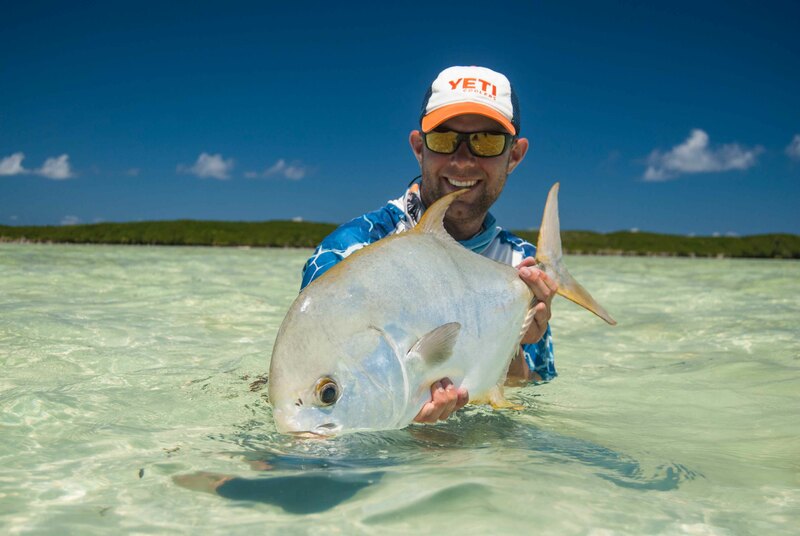 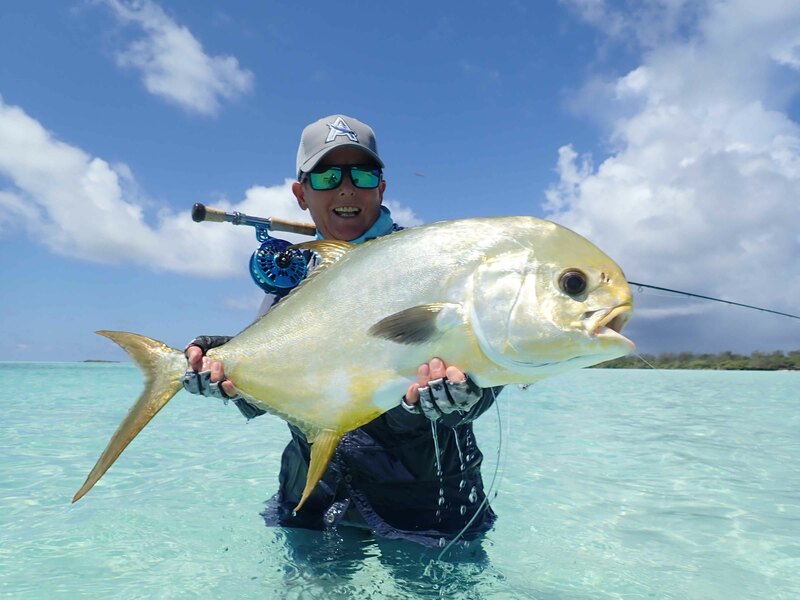 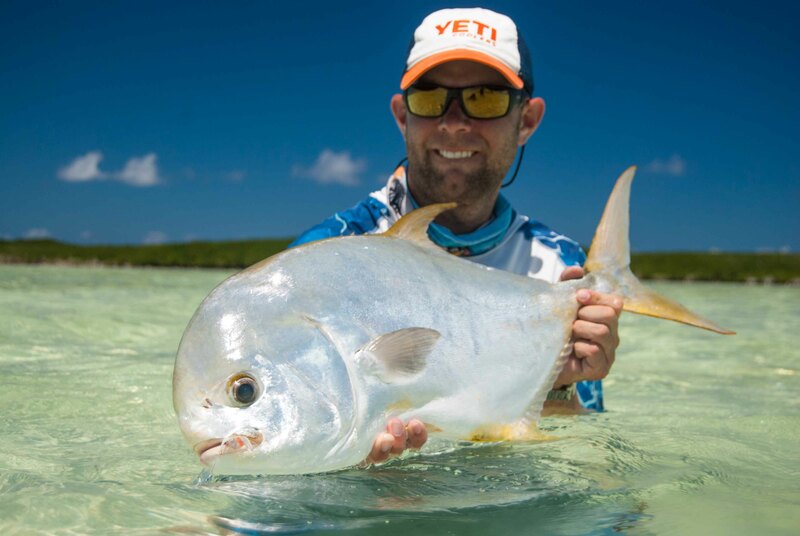 Bart Jenkins stole the show by landing a fish of a lifetime when a 72cm Indo-Pacific permit ate his Alphlexo crab. 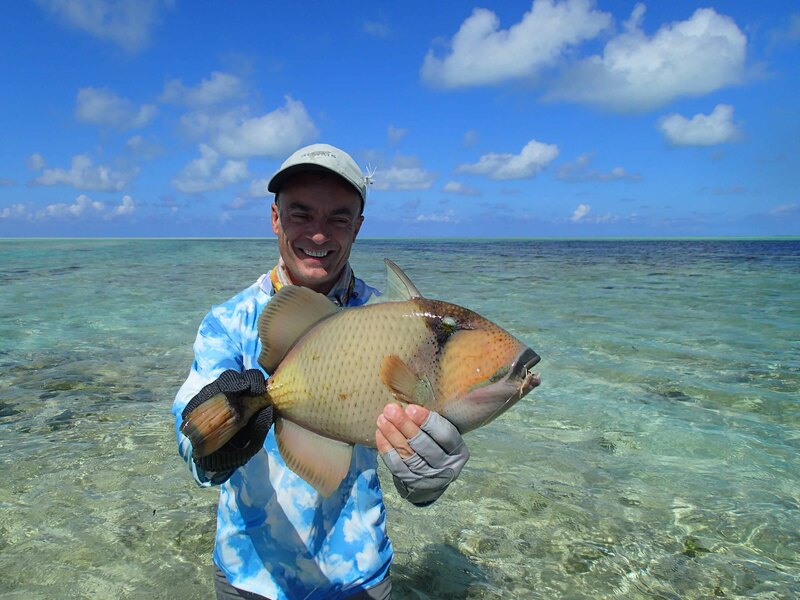 A few GT’s later and he had completed an impressive “Grand Slam”. 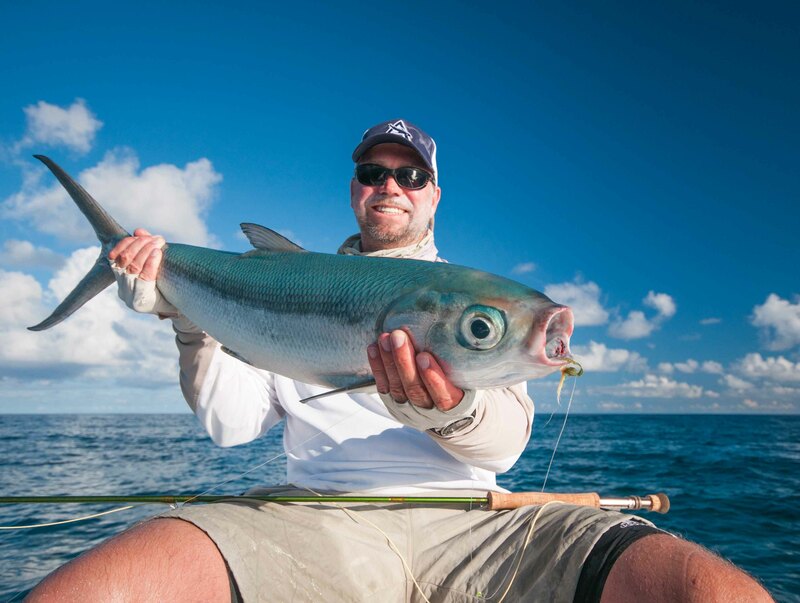 The settled weather set high anticipations for surface feeding milkfish but for some reason they were absent. 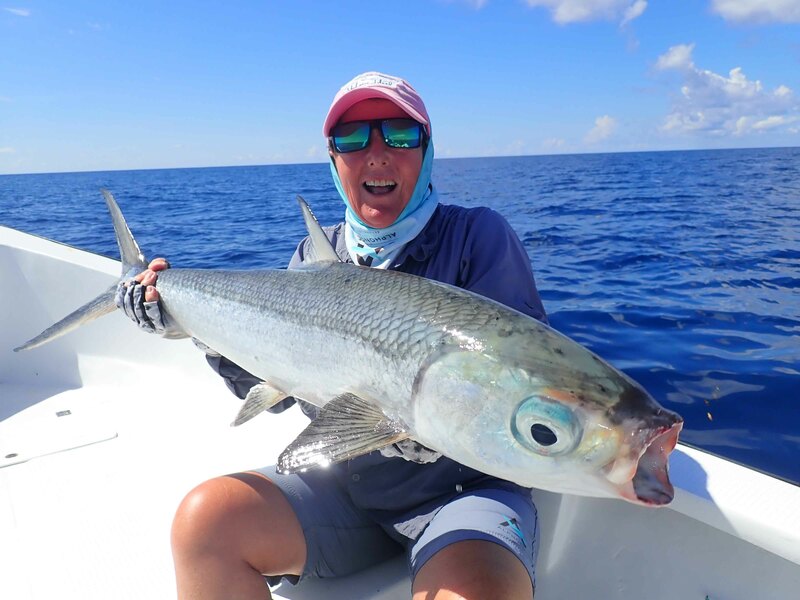 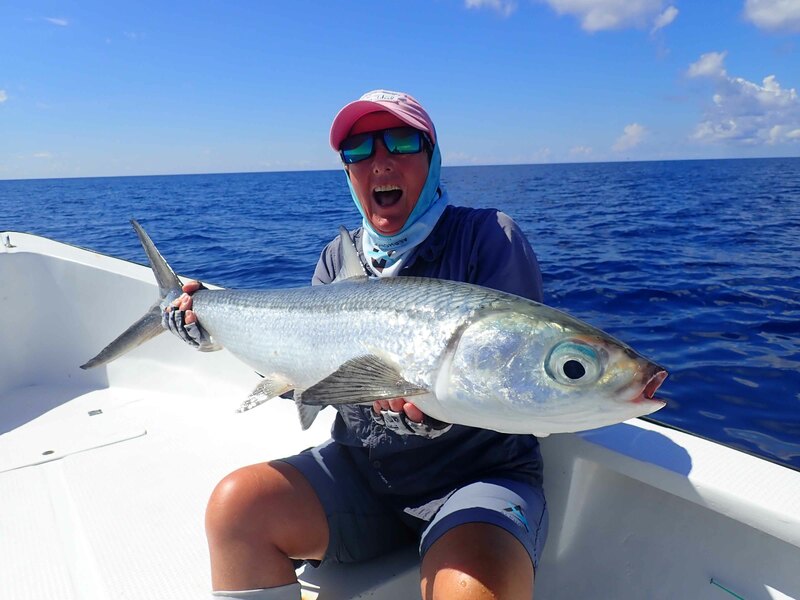 The milkfish finally made their appearance towards the end of the week, and when they did the anglers made it count with some fantastic high-flying action. 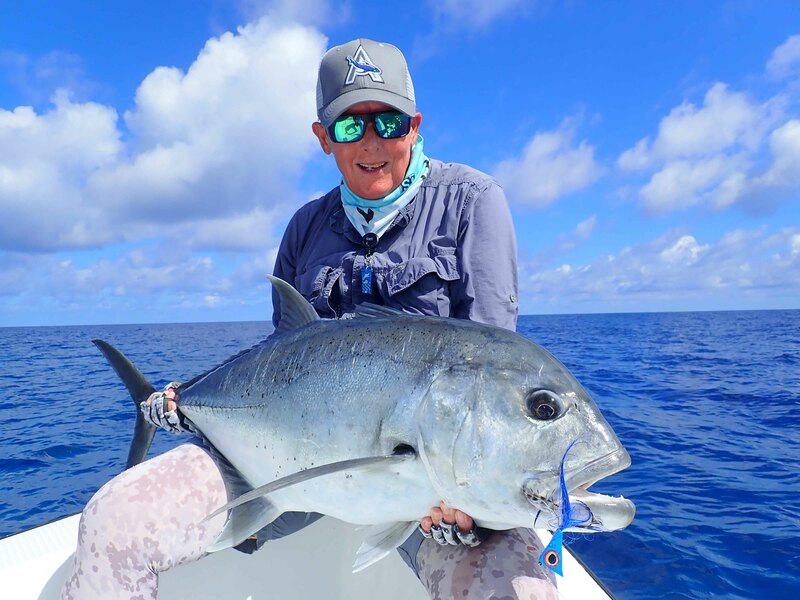 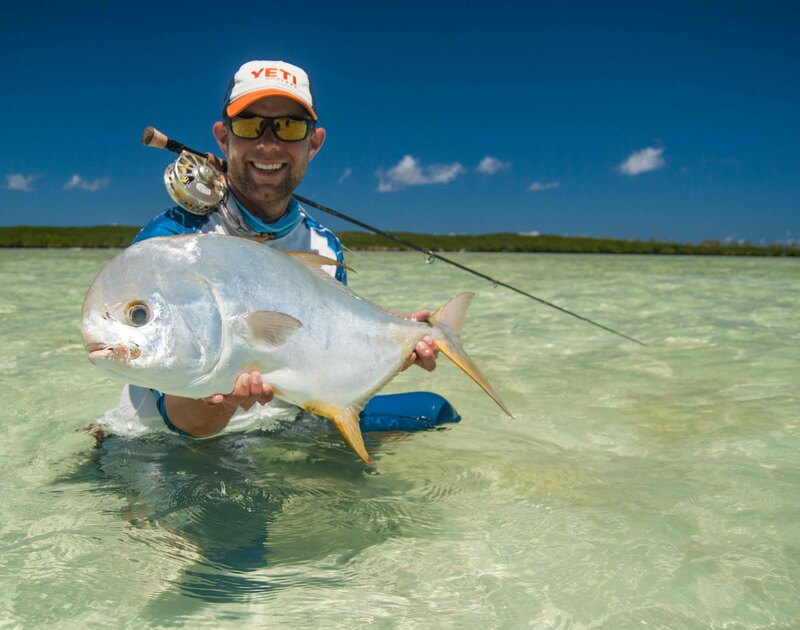 There was definitely no shortage of GT’s in the deeper water with action fast and furious at times and 123 GTs landed for the week by the group of eight anglers. 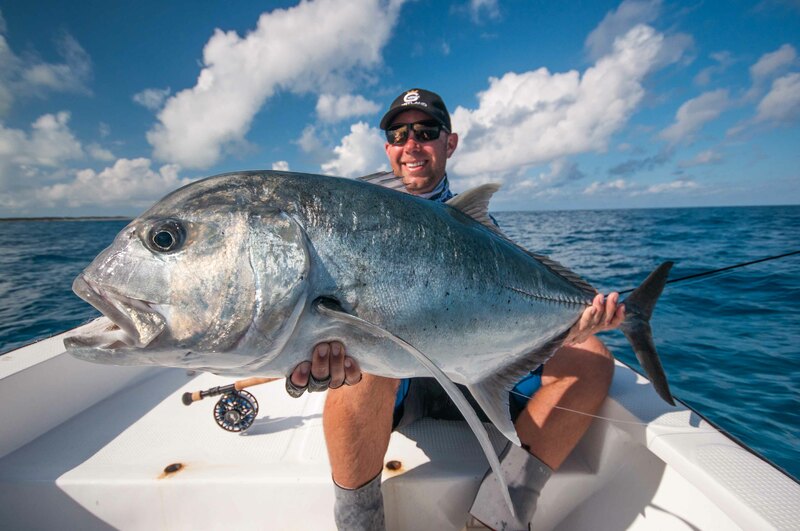 The biggest GT of the week belonged to Michael Hainebach who waited for the last cast of the last day to hook a behemoth GT, 140cm beast! 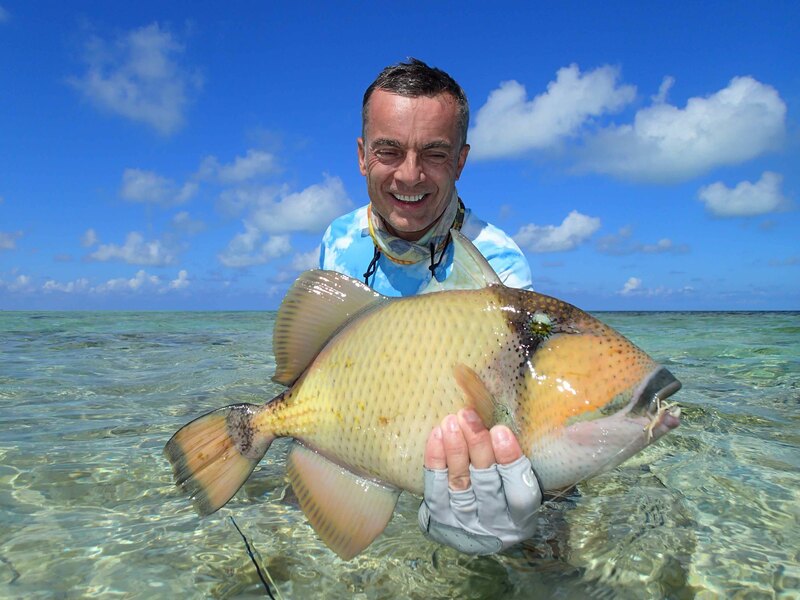 The one-meter plus mark was broken on three occasions with Tony Siddle landing a 115cm fish and Chantal Chone a 117cm brute. 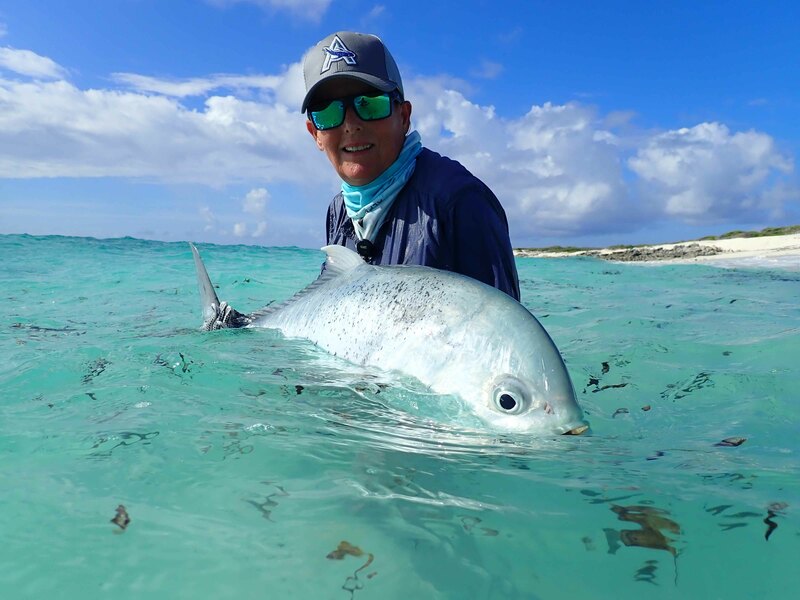 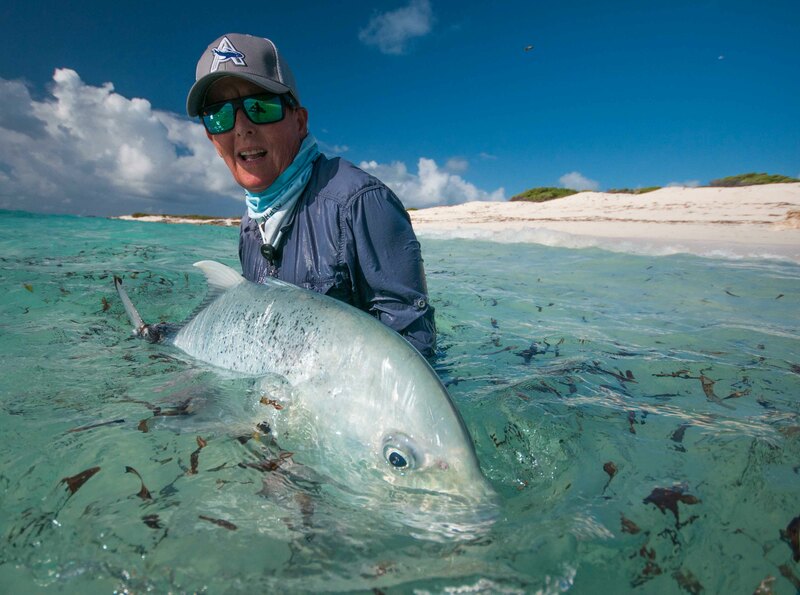 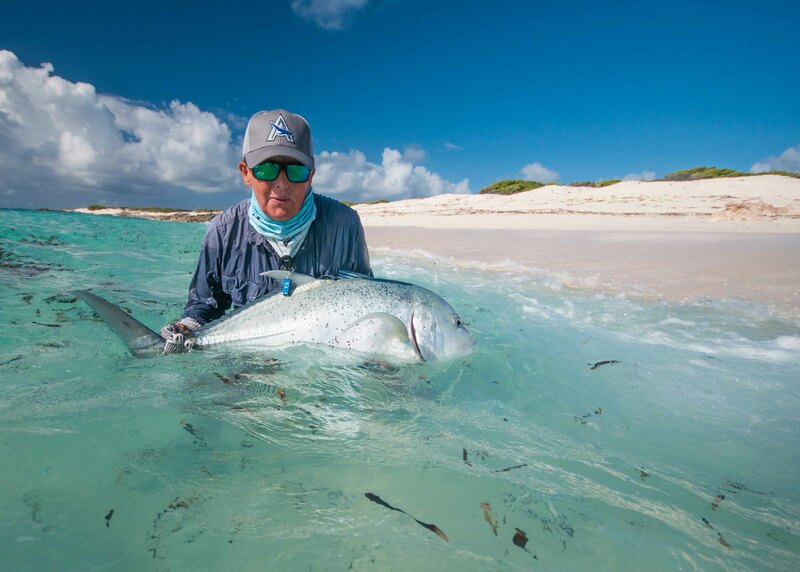 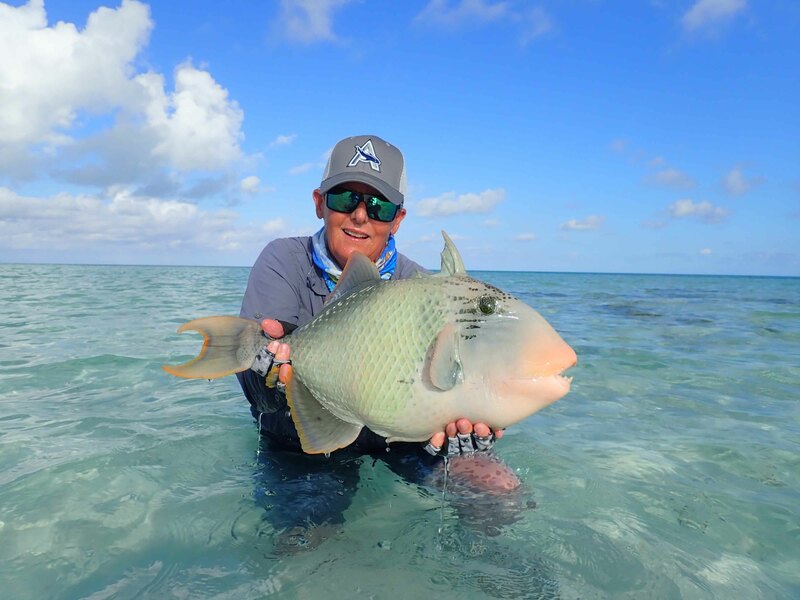 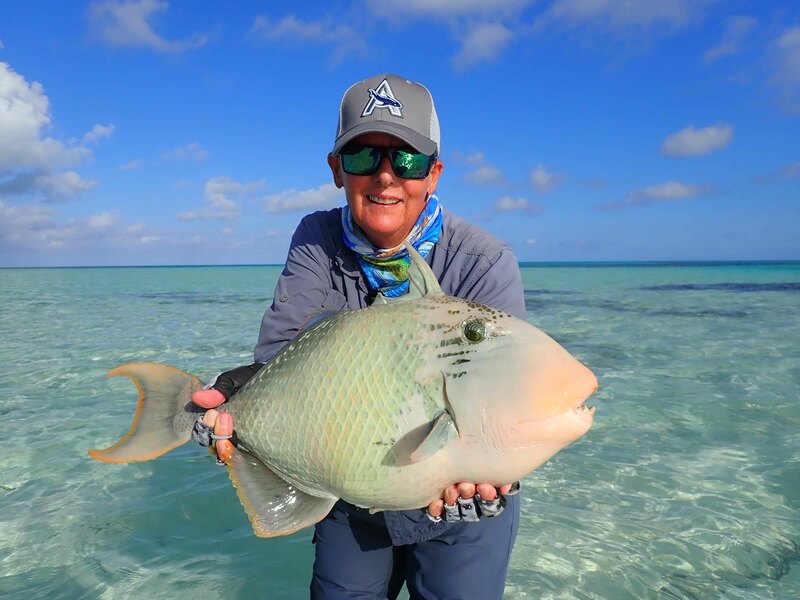 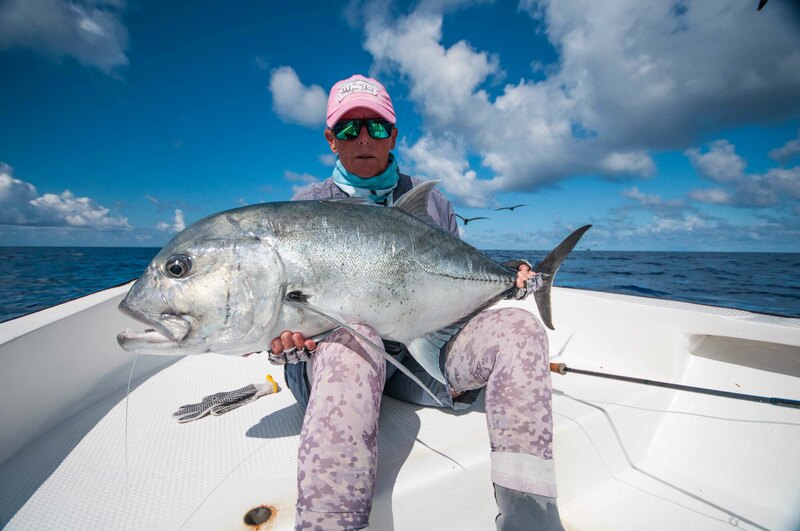 The week inevitably belonged to one person, “The Queen of Cosmo”, Chantal Chone with three “Grand Slams” that included GT’s, bonefish, a mustache triggerfish and a 72cm permit in one day. 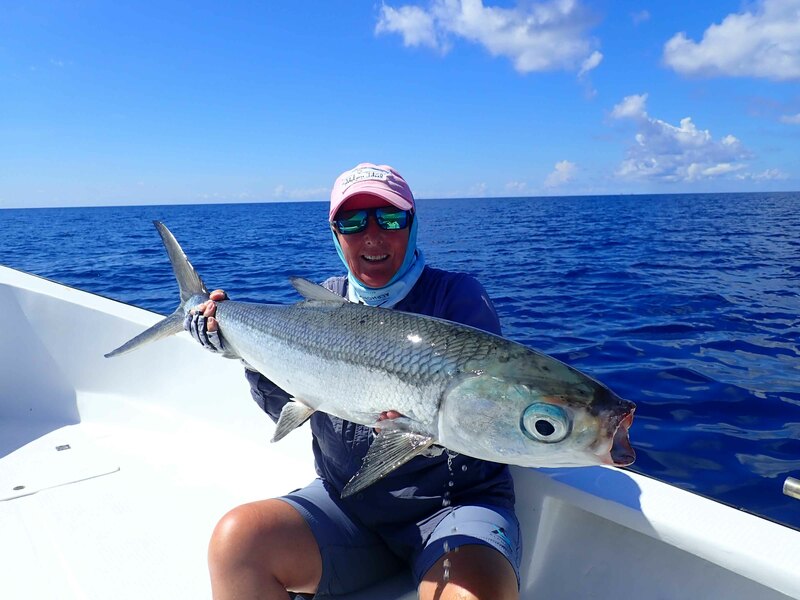 Her catch tally included a monstrous yellow-margin triggerfish, a 117 cm GT and nice milkfish landed on the final day. 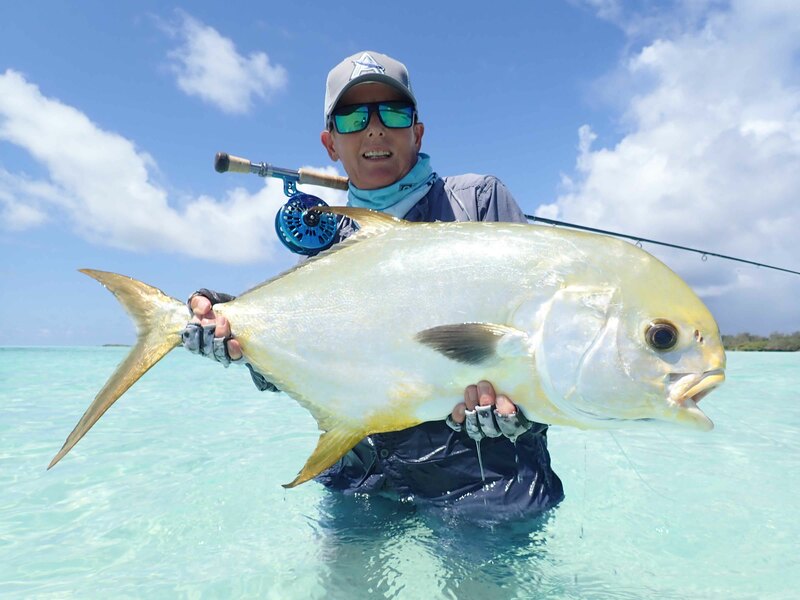 An astonishing two weeks of fishing, that included four “Slams” and every species that we consider a trophy fish. 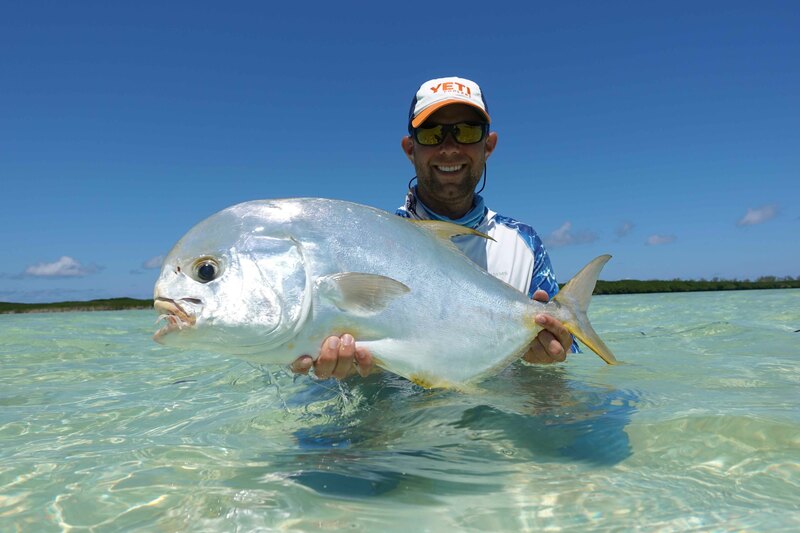 Another epic week at the Land of Giants, Cosmoledo Atoll. 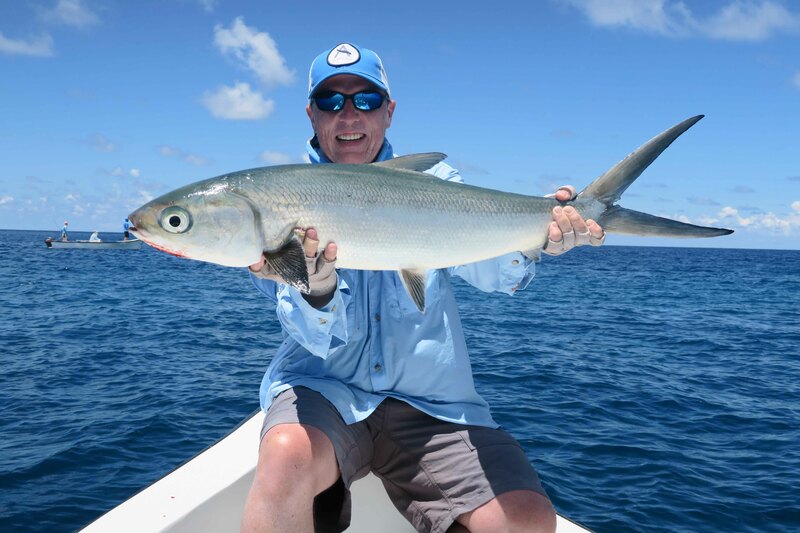 Tight lines from the Alphonse Fishing Co. team on Cosmoledo.